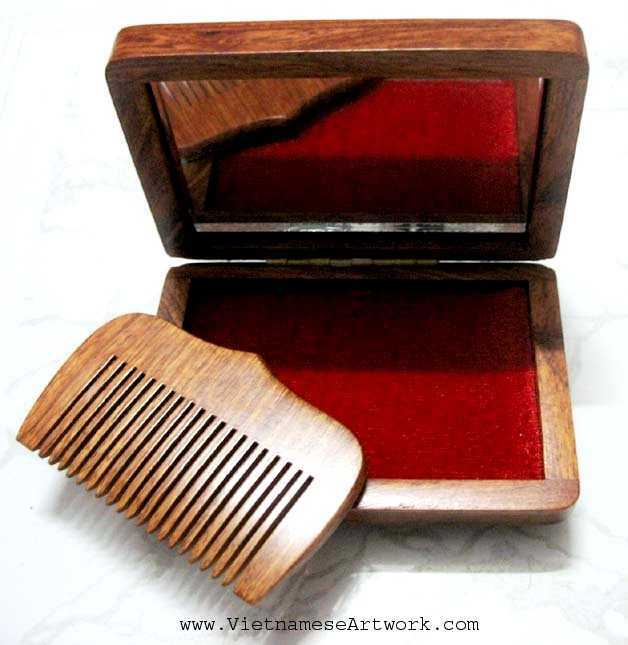 A darling miror and comb box: smooth wood with mother of pearl and bronze inlaid on top. 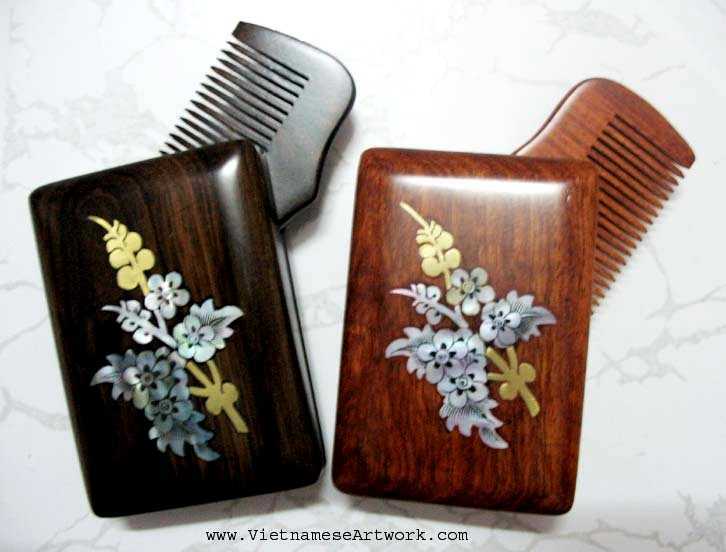 The comb is included. 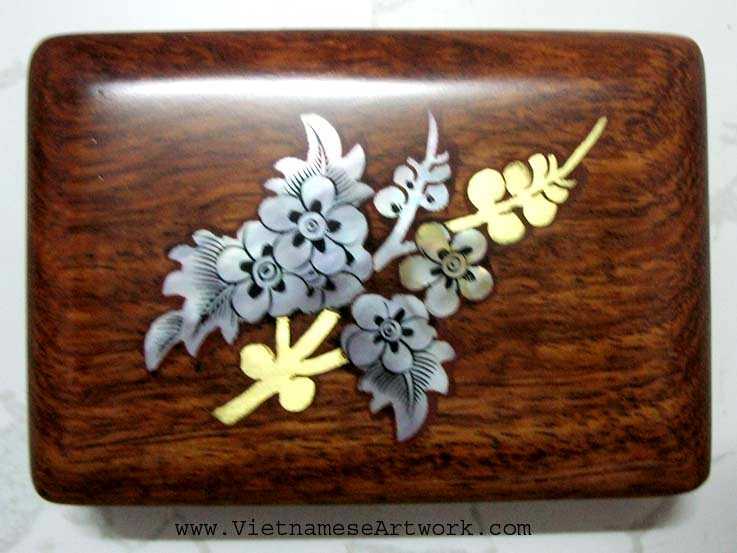 Hand made in Vietnam Small box with very high quality handcraft and very beautiful in every detail.